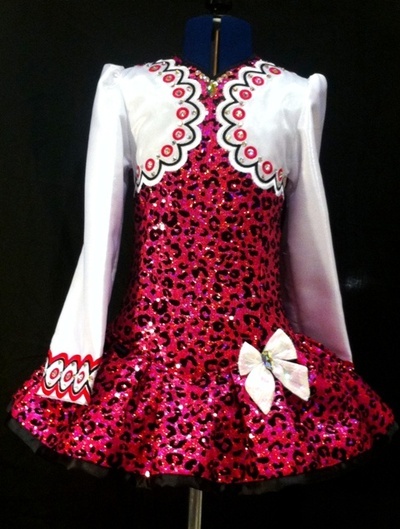 Absolutely adorable, brand new Kerry Design. 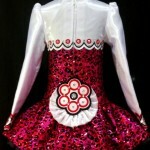 This delightful little dress has been created with fuchsia animal print sequins and white twinkle satin. An opal iridescent bow adorns the hip. 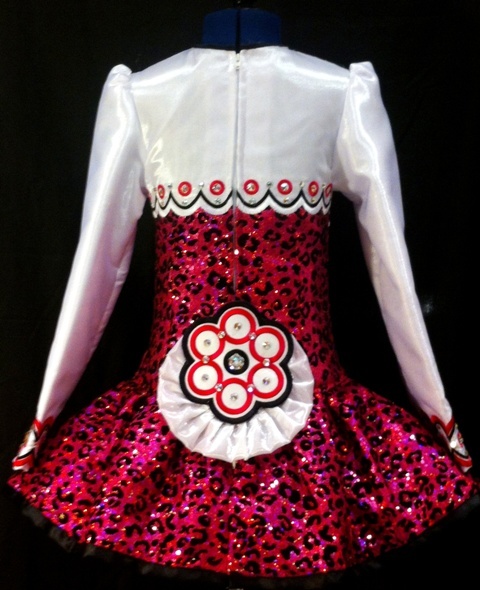 This dress truly sparkles and won’t be missed on stage! Asking Price: $US1600.00. Shipping costs are not included in the asking price. Sale is final.